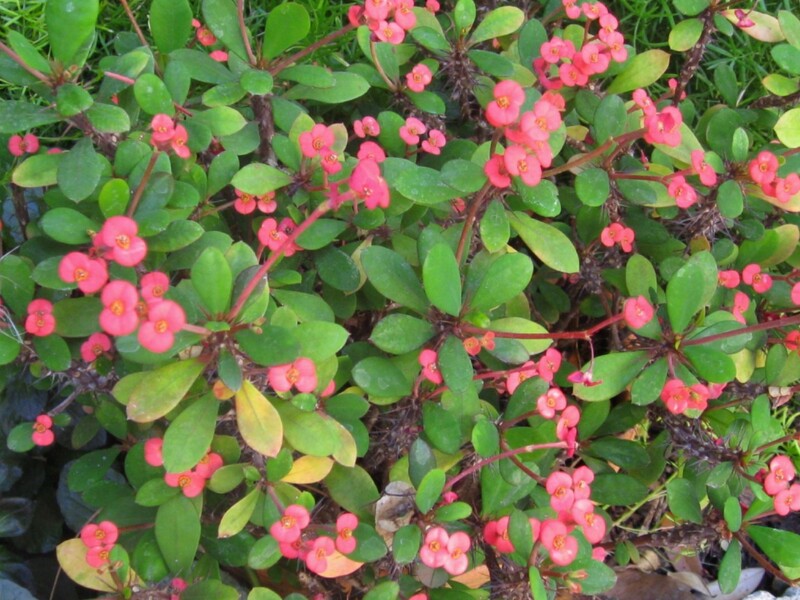 Comments: This is a shrub-like woody perennial in areas of the country with warm climates because the crown of thorns cannot tolerate freezing temperatures. It will bloom through out the year provided growing conditions are favorable. It drops its leaves in late summer, the period of dormancy for this succulent. The sap of this euphorbia is poisonous. It irriates the skin for many people. Colors of the flowers include red, yellow, and pink.